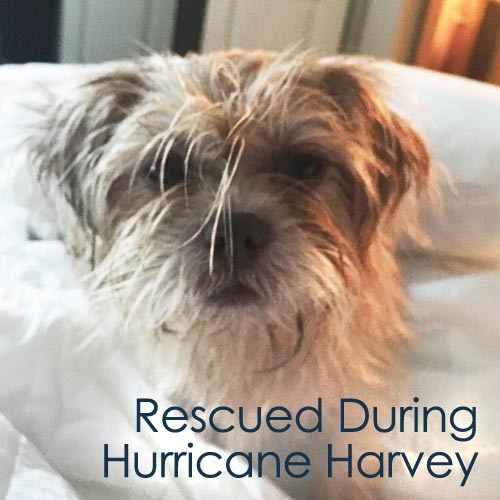 Hurricane Harvey - Houston Pets Alive! Houston has been devastated from Hurricane Harvey. For HPA! and the city of Houston, the repercussions of this hurricane will last for weeks, if not months. If you are able to help, please see the below list of items currently needed at HPA!. In-Kind Donations. If possible, we deeply appreciate any financial donations at this time. By providing a financial donation, you will allow us to ensure that we can purchase the supplies that we need, when we need them. It will also help us provide the best possible care for the new animals that we are taking in. The care for these animals doesn’t stop once the hurricane is over, and we are in dire need of financial support to continue care for our new pups and cats. Donating through the link below will help us save as many lives as possible (secure donations through PayPal). Fosters: We are in DESPERATE need of local foster homes in the aftermath of this crisis. Whether you can foster until adoption or house a pet for a few nights, please consider opening your home. Learn how to foster here or email rescue@houstonpetsalive.org if you have any questions about saving shelter pets in need! If you aren’t already a foster, please fill out the quick application and our foster teams will be in touch. We will continue to need fosters as we bring in more and more animals. Adopt: In order to free up foster homes, we need to get some of our amazing adoption-ready pets into their forever homes! Wonderful dogs are looking for forever families. Check out adoptable pets here or email adopt@houstonpetsalive.org if you have any questions about any of our adoptable pets. If you can’t adopt, ask your friends and family if they are looking to add some love. Supply Donations: Supply donations can be dropped off (from 9am-6pm) and shipped to 8616 Stella Link Rd. Houston, TX 77025. Please bring donations INSIDE do not leave items outside. Transportation Volunteers: Update: Due to the high volume of transport applications coming in, we will only be reaching out if we need you to help transport. Thank you! If you can help with transport, please fill out our online form here. Please be patient while we process offers and coordinate with those in need. Animal Shelter Volunteers: We have set up a temporary shelter to take in animals. We are very much in need of volunteers to help us care for them. Please fill out an application here if you can help! Thank you so much for your support in this difficult time.